I should have seen this coming, but still it makes me sad. Harold Pollack’s 4 x 6 index card of financial advice was perhaps the most read, cited and tweeted RBC post in history. It drew coverage from Washington Post, Money Magazine, Vanguard and Motley Fool among many, many others. It is now a book that is getting tremendous press everywhere. I thus understand Harold’s decision to move on from RBC to take up a regular investment advice column at Wall Street Journal and a “Pollack’s Mad Money” television show on CNBC, which fired Jim Cramer today to make room for Harold. Congratulations my friend, you will be missed. 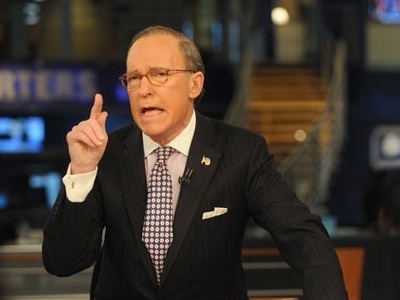 However, with every ending comes a new beginning, so it is therefore time to welcome Larry Kudlow to RBC. Larry will have big shoes to fill, but is strongly committed to writing here about poverty, inequality and the need to expand the social welfare net and raise taxes on the wealthy. The only thing holding him back so far has been that he doesn’t know any poor people, but Harold, gracious in transition, has agreed to introduce to him to one very soon. Austin Frakt of The Incidental Economist group blog recently discussed TIE’s decision to close off comments with Anna Maria Tremonti of CBC Radio One (full program here). One of the good points made in the discussion is that the costs and benefits of comment sections vary by blog. If you are running a big news website in the world’s most polite country and have staff hired to moderate your blog, even thousands of comments are manageable and valuable. In contrast, if you are operating an academically-oriented blog that has no paid staff like TIE, the comment section may feel like more work than its aggregate value justifies. I miss reading the insightful commenters who used to be able to respond to my blog posts, but on balance am very happy with my decision to close off comments on most of my posts. The result has been that I have more time to engage on Twitter with knowledgeable people. I also have time to look at emailed comments from readers, and thus far at least have been able to respond to every one that was civil and substantive. Last but not least, I like knowing that in blogging I am no longer providing a platform for the subset of people who comment out of hatred, ignorance or intellectual dishonesty. That’s a lot of upside for one click on the WordPress template. My suspicion is that in the long run, Twitter and whatever technologies succeeds it will supplant most blog comment sections as fora for interactions between bloggers and readers. In the meantime I can understand and respect why some bloggers choose to maintain them, and others do not: The variables in the cost-benefit analysis are qualitatively different from site to site and from person to person. It wasn’t a decision we made lightly…we are as committed to fostering lively, intellectual debate as we are to spreading the word of science far and wide. The problem is when trolls and spambots overwhelm the former, diminishing our ability to do the latter. All TIE admins are in agreement that we need a break from comment moderation. Itâ€™s a lot of work and the benefits relative to costs have dwindled. Weâ€™d rather use our time in other ways. Andrew Sullivan makes his own case against comment sections here. Although I failed to find it when I googled just now, I am pretty sure that some of the bloggers at Outside The Beltway have publicly questioned the value of comment sections, though their site still has one. I have been ambivalent about this issue for some time. At RBC, we have some absolutely terrific commenters (I saluted some of them here) who add tremendous value to the site for commenters and bloggers alike. At the same time, we also have accrued, it pains me to say, a bad reputation for our comments section being vitriolic and fact-challenged on some topics, most particularly drug policy but also some others (anything about guns usually gets ugly fast). Can’t bloggers just closely monitor comment sections and separate wheat from chaff? Given unlimited time, yes. But even for the few people who make their living by blogging, time to do this is not unlimited. And for those of us who have demanding day jobs, it’s an awful lot to ask. Last week, I had a twitter exchange with Austin Frakt about what TIE had done, in which he defined destructive comments as a collective action problem that he was tired of trying to solve. This resonated with me. I was also struck that when I emailed a group of our very best commenters and asked whether we should close off comments on drug policy posts, the modal response was that they didn’t care because they had been driven away from reading those comment sections. I was sad to hear that and recognized that a negative feedback loop had developed: As a few commenters were abusive or intellectually dishonest or both, those initially more numerous commenters who were civil and substantive began dropping out of the conversation. These two trends reinforced each other until being abusive and non-substantive became more the norm (though some heroes and heroines soldier on, God bless you all). I do not speak for RBC as a whole on this, but I have come to the conclusion personally that the TIE approach of making a lack of comment sections my default on future posts is the best one for me. There are significant costs to this decision because some excellent comments that would have been made will no longer grace our site. I hope those of you who have for so long contributed reasoned, respectful and data-based reactions, critiques and counter-arguments to my posts will continue to do so on those that remain open for comment. What Do You Hope to Accomplish, Policy Bloggers? Gardner’s comments were focused on health policy bloggers (e.g., Austin Frakt), but could be made more general. Why should Mark Kleiman bother to blog about drug policy? What does Harold Pollack think he is accomplishing by writing about criminal justice policy? Or to take it to a more personal level, who am I to delude myself that the hours I spend blogging about public policy affect public opinion one whit? Years ago I got a telephone call from a journalist at the Economist who wanted to talk about drug policy. I asked how he found me, i.e., was it through some newspaper that quoted me or the medical school press office or what? To my surprise and delight, he said that he and his colleagues had long followed Mark Kleiman’s and my blog posts on drug policy. Author Keith HumphreysPosted on August 12, 2013 November 9, 2013 Categories UncategorizedTags Austin Frakt, Blogging, Harold Pollack, Mark Kleiman16 Comments on What Do You Hope to Accomplish, Policy Bloggers? We have a very, very small number of visitors who sometimes “spray paint” the same long comment on many posts. When a line of these typically multi-paragraph comments is googled, it shows that the same comment has been spray painted on many other websites as well. We will be deleting these, both concurrently and within the archive going back to when RBC started. I have long been an admirer of Johann Koehler’s blog The Phronetics, which features thoughtful analysis of crime, economics and many other public policy and cultural issues. I am therefore happy to announce that Johann has agreed to come aboard here at RBC, bringing along his fine Cambridge-trained mind (now being further sharpened at UC Berkeley) and love of old movies to enrich our community. Each week, we get from Google Analytics a report of which individual posts resulted in the most visitors to RBC. Our archive holds over 12,000 posts, but the leaders are almost always posts from the current or prior week (note that post-based entries are a rarity, people usually enter by the main page or from links by other bloggers). However, three old posts are there every week, and it is interesting to speculate why. The most remarkable performance is The Elixir Broccoli of Life, which James wrote 10 months ago. Yet it has lead 100-200 people to RBC every week since. The second most steady performer is Drinking Alone Does Not Necessarily Mean You Have a Drinking Problem, which funnily enough was posted only a week after the broccoli post. It’s been there almost every week since, and caused 103 people to come to RBC last week. I have heard that seeking health advice is one of the most common reasons people first start using the Internet, and that may be why these pieces have such a long tail (They differ from most of our health posts in providing individual advice versus, say, analyzing a new health care law). Or maybe there is a website in China that links to these posts and we are just riding the wave along with whatever else they pick up as a gazillion people a day there get Internet access. However, the health explanation breaks down for the post with the third longest tail. The 60 or so film recommendations I have written unsurprisingly almost never show up except in the week I wrote them. With one appropriately mysterious exception: My review four months ago of Cabinet of Dr. Caligari has never been out of the top post list since it appeared. It’s not as if reviews of a 90 year old classic film are in short supply so this is hard to explain…maybe A.O. Scott gave it some love at some point but didn’t wire me to let me know, which would be just like him. I really liked Mark’s post about how people who think all policy analysis is just rhetoric are suspicious of, or even angry at, anyone who points out a fact that is inconsistent with their ideology. Andrew Sullivan is making waves on the web for giving back the Boeing and striking out on his own. The experiment addresses an intriguing question: Can a blogger actually make it as an independent business or will his audience run away in search of free content? In my scientific life, I have to conduct experiments such that I do not influence the study to produce the result I want. But this isn’t science, and I therefore felt comfortable putting my thumb on the scale by signing up for a subscription to The Daily Dish. I did it because I enjoy reading Sullivan, but also because I want his experiment to succeed as a demonstration of a more general possibility. The blogging endeavor can’t survive in a significant form forever a la Huffington Post — providing free material that feeds off of paid content until the producers of that content go broke. Yes there will always be bloggers in their mom’s basement, knocking out rants to an audience of a half-dozen members of their moody loner support group, but those fellows will never shape public discourse as can people with Sullivan’s reach. I admire him for experimenting on himself (a noble tradition within science, no matter what the horror movies taught you), and very much hope for positive results. The powerful posts here about the Newtown massacre have generated many passionate and intelligent comments and also an unusually high number of abusive and trolling remarks. I started editing some out and it was difficult to do much more than cut the few most egregious cases without having threads fall apart. I could even see the verbal violence escalating between people as threads developed, one hard shove leading to another harder shove and so on. I don’t pretend to know the solution to societal violence, but it might be a good start for us to at least not be violent with each other as we talk about it.